Finally got a new graphics card, but still not satisfied with your gaming experience? Your PC is probably lacking a good sound card with high definition audio to complement your graphics card providing high definition visuals. If you are unsure of which sound card to purchase for your PC, check out some of the top ranking sound cards that we have collected. This will help you find the best sound card for your PC in order to enhance your gaming experience. This table depicts the best sound cards to this date that are available on the market. These sound cards are not only meant to enhance your gaming experience, but also to improve the quality of audio of media playback. If you are looking for a sound card specifically designed for high definition audio for gaming, you may want to take a look at the Creative Sound Blaster Audigy RX 7.1 sound card. This sound card comes with an EAX Reverb Engine. If you did not already know, many PC games are supported by EAX audio extensions, which is exactly what this sound card has. This makes the Audigy RX 7.1 the best sound card for gaming, as it will enhance game audio. 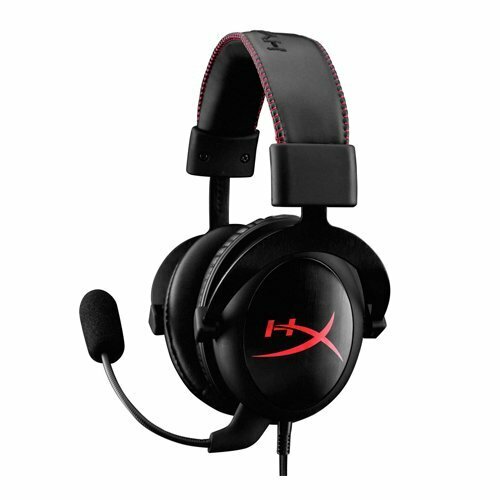 In addition, the 7.1 surround sound will help get you to the top in gaming, as you will be able to hear discreet noises from afar (i.e. footsteps, weapons reloading). Apart from gaming, this sound card is the best sound card for music production, as it can also enhance your audio recording experience. The Sound Blaster Audigy 7.1 comes with Creative recording software, as well as low-latency audio recording. The two microphone inputs will allow you to simultaneously record audio from two different sources. It should also be noted that this sound card is the cheapest you will find, and it comes packed with many attractive features. 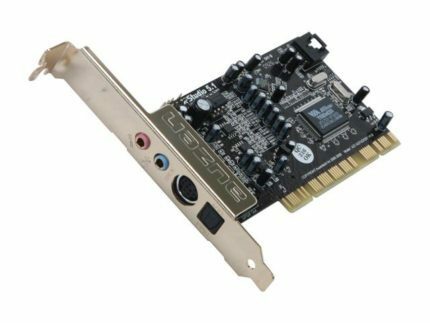 The HT Omega Claro II 7.1 channel PCI sound card is one of the more expensive options for a sound card. However, it does come with a wide range of features that makes this sound card well worth it for its price. To start, the Claro II comes with 7.1 surround sound supporting multiple speakers and provides crystal clear audio playback. Audio playback is enhanced by the integration of the AD8620BR op-amp for the front output, in addition to the 24 bit/192 kHz audio support. This sound card also integrates Dolby Pro Logic IIx, which converts a native 5.1 signal into a 7.1 channel output. It should also be worth noting that this sound card is the best sound card for music. This sound card is the most expensive out of the best sound cards we have collected, and it is the best audiophile sound card. If you are someone who prefers higher definition audio from headphones, then consider checking out the ASUS Xonar Essence STX sound card. It is a PCI-e sound card that comes with a Hi-Fi (high fidelity) headphone amplifier, which will guarantee enhanced audio for headphones up to 600 ohms. 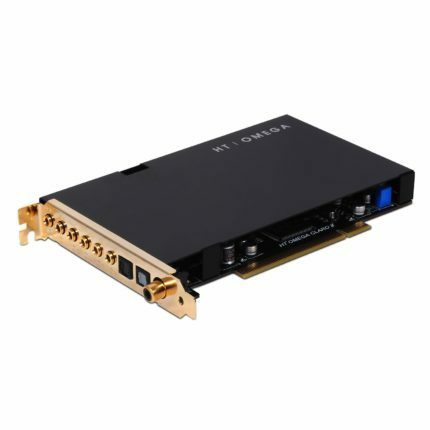 In addition, it is the first sound card to attain a high SNR of 124 dB, which ensures high-quality sound without unwanted noise is delivered to you. Furthermore, this sound card comes with an EMI shield to prevent distorted audio. You should also note that the ASUS Xonar Essence STX is an older sound card, primarily for Windows XP and Windows Vista. This means that you may have trouble installing the drivers on a newer OS. Although AuzenTech is not a very popular brand, it is yet another cheap sound card that offers some good features for its price. For one, the AuzenTech AZT-STUDIO X-Studio 5.1 offers 5.1 surround sound, in addition to the DirectSound 3D, A3D, and EAX 1.0/2.0. Also noteworthy is the swappable op-amp to suit your preferences. The X-Studio 5.1 is also fairly easy to install and can be installed in a cinch on Windows Vista. If you are looking for a cheap sound card, we recommend checking out the AuzenTech AZT-Studio X-Studio 5.1 sound card. If you feel that the previously listed sound cards are not the best sound cards for you, you may be looking for tips on how to purchase a different sound card to suit your preferences. Consider the tips listed in this guide to help you find the best sound card for your PC to give you the ultimate experience, whether for gaming or for watching movies. These terms appear on every sound card description, so learning about these will help avoid confusion and will help you understand what to look for in a sound card. You may have already come across the term frequency response when looking for a new sound card. The frequency response is the idea of delivering clear and crisp audio to the listener. The value of the frequency response comes in a range form. The ideal frequency response that is the audible range of the human ear is 20Hz – 20KHz.When looking to purchase a new sound card, make sure that the sound card provides a frequency range that is higher than this value. Many sound cards offer surround sound support. In the case of gaming, this means that you can hear everything going on in your surrounding area, such as hearing an enemy’s footsteps or hearing their gun reload in first-person shooter games. In the case of watching movies, you will have a cinematic experience with surround sound. Look for a sound card that offers surround sound support if you are into a cinematic experience when watching movies, or for gaining an advantage over your enemies in games. This is an important thing to consider when you are looking to purchase a new sound card for your PC. The SNR measures how much the desired signal exists in the audio output over the power of unwanted noise in the audio. The higher the value of the SNR, which is measured in decibels (dB), the better the quality of audio that is produced with less unwanted background noise. When looking for a sound card, ensure that you purchase one with an SNR value of more than 105 dB at the least. If you are a gamer looking to purchase a new sound card, consider looking for a sound card with EAX engines. The reason for this is because many games utilize these EAX audio extensions to provide you with real surround sound effects, making you feel completely immersed in the game you are playing. Examples of PC games that utilize EAX engines are Battlefield 2142, Mass Effect, and Bioshock. The total harmonic distortion of a sound card represents how much distortion is produced. Some sound cards have a type of shielding to protect it from audio distortions of other devices located in the computer. 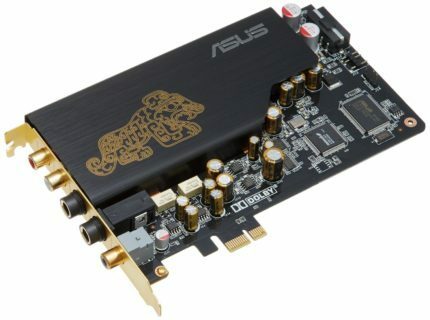 An example of a sound card that utilizes this type of shield is the ASUS Xonar Essence STX which uses the EMI shield. To find the best sound card for your PC, look for a sound card with a total harmonic distortion value closest to 0. By taking these tips into consideration, you will be able to understand how to purchase a new sound card for your PC. We have provided you with 4 of the best sound cards that are available on the market. 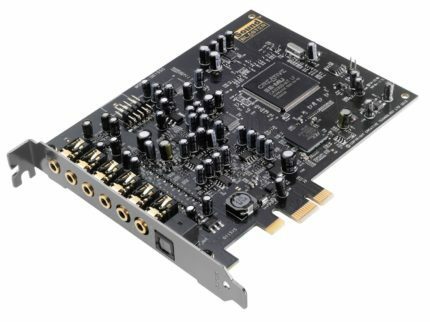 We highly recommend the Creative Sound Blaster Audigy PCIe RX 7.1 sound card, which is the winner of our roundup, due to its relatively cheap price and the extensive features it provides. Not only is this the best sound card for gaming, but it is also the best for recording audio.